I really enjoyed this class. Many examples of how to emphasize the main character in an illustration. Wil also showed how contrast can point to the central object in the picture. As a novice, I can see how I get caught up in just producing a pretty picture without choosing colors to help tell the story. Excellent class. I'm sure I'll revisit this one. A great shorter refresher or introduction to color. A few of the tips on applying lighting will definitely help with the struggles I sometimes have with color harmony in digital. Thanks for another great class with general things to consider combined with easily applicable tips! 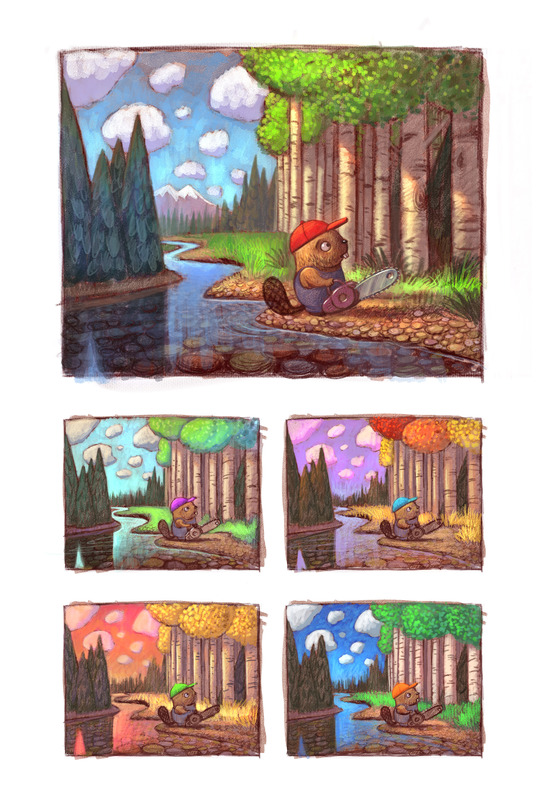 Will did a fantastic job talking through color choices and how they affect your illustration. He used clear examples that really drove his points home. I enjoyed this course because it is broken down in many sections of subject matter. There is a lot to absorb in each section so the time span for each one is perfect. This course gave me so much more to think about inthe terms of how warm and cool colors work together! I will definitely be going back to review things. I really loved this class! I have taken gazillions of online art classes as well as live painting and drawing classes. I have always been afraid of color. Somehow I never learned how to use color. I was just told to use cooler colors in the background and warmer colors in the front to make objects come forward or move backward, but this class went way beyond that. There is more to making a good illustration than what I learned previously. Thank you! I feel like a light bulb went off in my head. I am now looking at all of my favorite children's picture books and seeing how those illustrators did their illustrations. What I learned is exactly what I am finding in these books. Great class! Excellent class! I love Will Terry's classes. He explains so well and goes through the information in a very through manner. Brilliant yet again. Will is generous in what he teachers. I'm learning something new everyday. Helpful insight into the importance of colour and it's symbols, what and how it communicates. Really helped with issues I’ve struggled with for a while. Will try putting them into practice then come back and rewatch them. I didn't realize what I'd forgotten to apply to my illustrations surrounding color choices and emphasis. This video was excellent in pointing out how to make a much stronger story with color! I am so thankful that I can take these classes and that Will has been so great at sharing his methods! I found this course extremely helpful. Especially because Mr. Terry gave so many examples of what he would do in certain color situations. However he also kept mentioning to experiment which I believe is something that all artists should practice. Some videos were in bit longer then others, but if you pay attention you can understand why he chooses certain colors within an illustration. 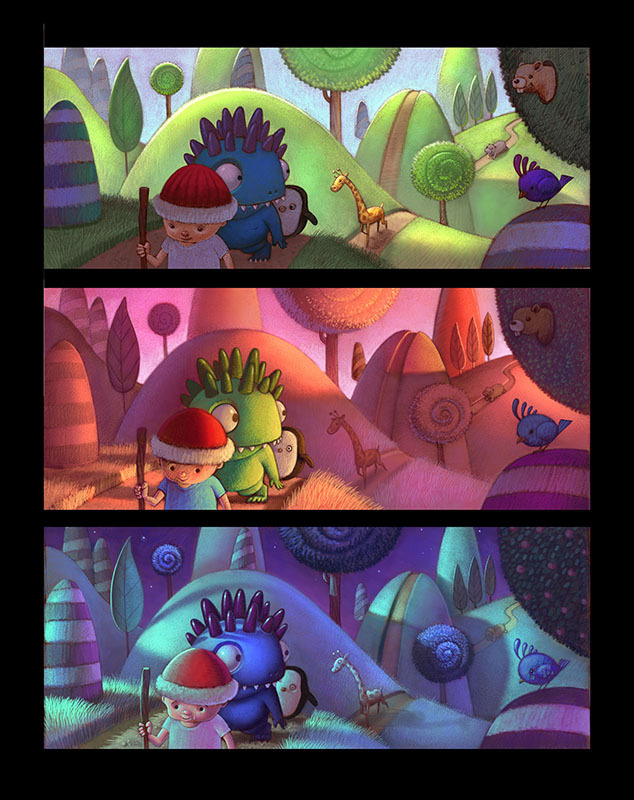 I find choosing colors to be more difficult when doing a children's book because for consistency sake, I have to retain the local color of characters or their clothing while putting them in different scenes, situations, and lighting. This was very helpful in beginning to understand how to use color more effectively even within the constraints of a consistent story line. 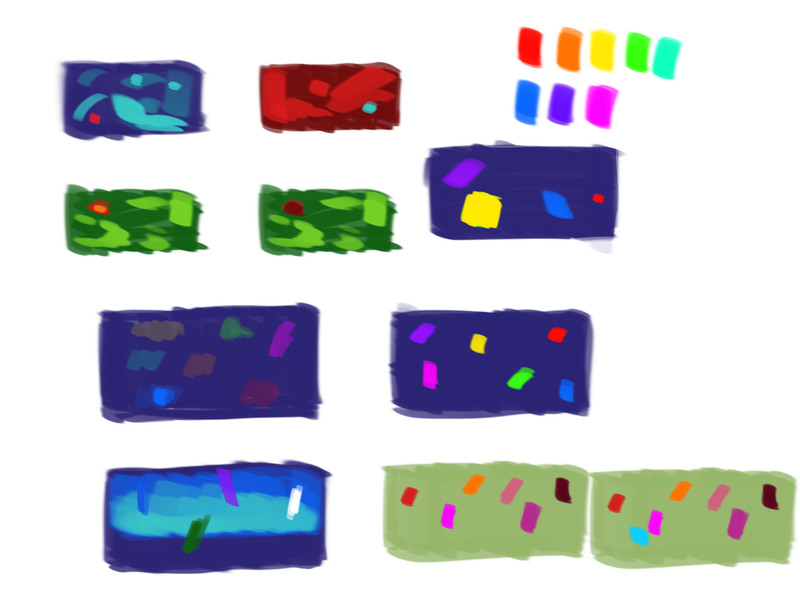 A lot of thinking goes into choosing colours - its more of a brain process than just an arm movement thing! Will Terry manages to distill this into a lot of useful information! I like how he presents this class as a series of ideas for developing our own personal way to properly choosing colours, instead of just a set of rules to follow. Judging by that front sketch beautifully rendered in three different ways, I was expecting something a bit more technical so as analysis of specific color schemes or how to set certain moods through color, or even a quick demo at the end. However, it's always good to hear Will Terry sharing his thoughts and knowledge about illustration, and this time it wasn't any different: great course! Thanks! I found this very helpful for me. Thank you! This class is designed to help artists develop a method for picking colors, color schemes, and light temperature when painting their drawings. Often artists develop the skills to create masterful drawings but constantly fall short in their color choices for objects, characters, clothing, and backgrounds. This class gives artists options and steps to begin logically making color choices for their illustrations. Will shows how you can neutralize your colors to avoid creating accidental focal points as well as making conscious decisions for your intended focal points. Controlling emphasis is to control the story you are trying to tell. Will demonstrates how he picks colors, how he uses light to influence his colors, and how culture and symbols dictate what colors you should use. If you struggle with your color choices this video will help you develop a system of attack. As with any skill practice makes perfect and with color this is especially true. Look at how other artists are using color. Step back from your pieces or zoom out so you can more easily see your color relationships and evaluate them for storytelling and focal point. Your color sensibilities will evolve over time if your are constantly mindful of the colors you experience in your daily life as well as those you choose to create your images.